Screenshot from the YouTube video “Ninja Mi Ninja” by Ninjaman. Fellow deejay Mr. Vegas observed that while Ballentyne is “one of the greatest on a musical level”, the kind of content he put out might have come back to haunt him. The artist was known for his controversial pro-gun lyrics. Ballentyne's case was hard fought, and not without drama. After seemingly endless delays (17 trial dates set and 23 mention dates in court) the judge denied yet another application for a postponement and ordered the trial to begin immediately. #NinjaMan is not dead, despite rumors. His murder trial verdict is expected this week! UPDATE: the future of one dancehall music's finest lyrical sons, Desmond Ballentine o/c #NinjaMan, has been languishing in the hands of a 7 member jury for approximately 2 1/2 hours. He's accused of murder. The wait was soon over, however. The jury returned the guilty verdict after approximately three and a half hours. Ballentine does not enjoy the enormous popularity of another famous convicted murderer deejay, Vybz Kartel, who at 41 is 10 years younger and remains popular even though he is now behind bars. However, like Kartel, Ballentine was known for his “bad man” image. With his sharp, violent lyrics delivered in a stuttering tone, he rose to fame during the height of dancehall's popularity in the 1980s. 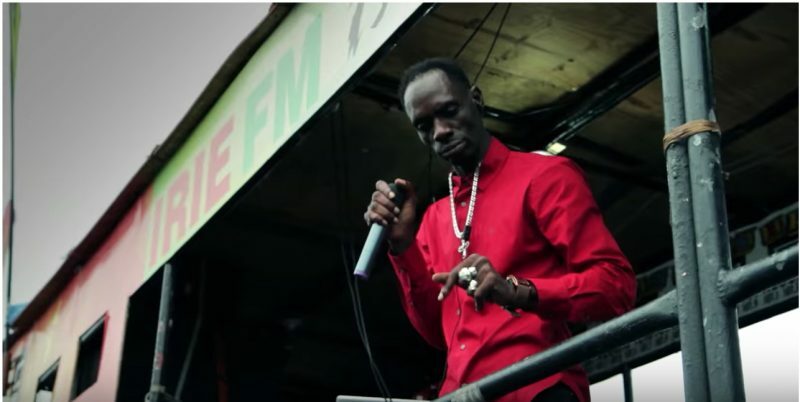 In particular, he was known for his flamboyant costumes and fierce musical “clashes” with other artists at the once annual Sting music festival (it took place each Boxing Day for about 30 years, but the event has now been discontinued), where he physically clashed with Vybz Kartel in 2003. Ballentine did not keep a particularly low profile while he was out on bail. He was even invited by the Jamaica Constabulary Force to give a motivational speech to police officers in January 2017. What is sad is that he was given so much publicity and promotion whilst he was out on bail, even appearing as a Judge on Magnum King & Queen TV show. This is why crime is so hard to curb, because murder and badness ah nuh nutten! What is sad is that he was given so much publicity and promotion whilst he was out on bail, even appearing as a Judge on the Magnum King & Queen TV show. This is why crime is so hard to curb, because murder and badness is nothing! Ballentine's defence lawyer said that he would file an appeal, complaining that there were only seven jurors. According to the Supreme Court website, “all serious offences are tried by a Circuit (Supreme) Court judge sitting with a jury comprised of twelve (12) persons in murder or treason, and seven for other criminal offences.” The country's Jury Act has similar guidelines. The sentencing hearing will take place on December 15, 2017. You got it right: crime-weary we are, so much so that Ninja’s conviction was just a passing conversation. Many took to humoring the situation, especially with the tweet about Kartel filing for Ninja. Let us hope that more convictions will but a dent into the incessant crime wave.